Land forms comprise the body of the landscape, its skeleton and skin, which is often clothed with vegetation. Land forms define much of the image and character of the landscape and landscapes of common character. A region is defined by the geology which has created the mountains, valleys and plains on which grow forests, woodlands, hedges, crops and pastures and within which are located its lakes, settlements and roads. The author examined the influence of land forms in South Australia on landscape preferences (Lothian, 2000). 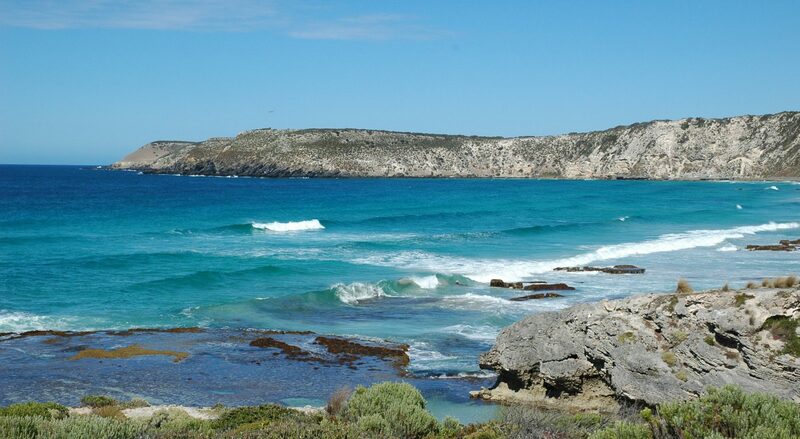 South Australia is a predominantly flat state but with some mountain ranges and coastal cliffs and headlands. Classifying the land forms into flats, hills and mountains, the mean preferences were: flats 4.69, hills 5.34, and mountains 7.05 (Figure 1). Thus the preferences for hills were 13.9% higher than for flats while preferences for mountains were 50.3% higher than flats. Although relatively low in elevation, the appearance of some of the ranges in inland South Australia is impressive because of extensive rock faces. The significance of the rock faces in the scenes was assessed based on their extent and steepness and was scored out of five, 1 being absent or not present, through to 5 for rock faces of considerable extent and steepness. The results were: score 1, 6.09, score 2, 6.79, score 3, 7.02, and score 4, 7.79. A 5 scored rock face would rate 8.49. Figure 2 shows that the steepness and extent of rock faces strongly influenced landscape preferences. There is a 26.0% increase in rating over the four scores. The River Murray in South Australia passes through a narrow cliff-lined trench for much of its passage. In the River Murray project (Lothian, 2009) the visual significance of the cliffs was scored. Figure 3 compares the scores with the ratings. Ratings increased by 0.6 for each unit increase in the cliff score. Sheer cliffs along the River averaged 7.18 rating while sloping cliffs averaged 6.26. The study of the Mt Lofty Ranges, a relatively low (1200 m) range near Adelaide, South Australia, Lothian (2015) found the visual significance of land forms had a substantial influence on ratings, increasing them by 0.64 for each unit increase in the land form score (Figure 4). For all scenes together, flat land rated 5.25, undulating land 5.65 (7.7% increase) and steep land rated 5.90 (12.4% increase compared with flat land). The ratings of rugged terrain and rock faces averaged 7.35. Ratings increased substantially as the rock faces increased in their visual significance in the scenes. The findings from these studies indicate that preferences are higher for mountains than hills, and higher for hills than plains and that ratings increased with the steepness of cliffs. Table 1 summarizes 14 studies that have quantified preferences for land forms, including plains, hills and mountains. In the US, Brush (1981) tested photographs with a group of campers and found a correlation between landform class and scenic preference of 0.37. Figure 5 indicates the ratings of different land forms, the highest rating (60-89) being for mountains followed by steep hills, low hills, and lastly flat land. Buhyoff et al, (1983) assessed the preferences of four nationalities – Danish, Dutch, Swedes and Americans, for scenes of mountains and forests in the US. Figure 6 aggregates the results and shows the average preferences for each scene. Interestingly, plains were middle ranking and scenes of low mountains were among the less preferred. Not unexpectedly, the high, rocky, snow-covered peaks rated the highest. Scenes with stronger forms and greater scale yielded higher evaluations. In a study of Spanish National Parks, DeLugio & Mugica (1994) found considerable differences in landscape preferences among visitors. Landscape beauty was associated with vegetation, water and topography. These mountains were associated with aridity and roughness. In one of the few detailed analyzes of mountain landscapes, Hammitt et al, (1994) found that multiple ridges of a range, disappearing into the distance were preferred over a single ridge. Most preferred were mountain forest landscapes with water that was either flowing or stationary. Vegetation that obstructed the view was disliked. Similarly, Schirpke (2013) found in Alpine areas that a view that contained three sets of ranges rated higher (2.25 on 1 – 4 scale) than two sets (1.80) or one set (1.09). On the Mount Everest Trek in Nepal, Beza (2010) interviewed Australian and Sherpa trekkers and had them assess the beauty of the region based on photographs. Table 2 summarizes the ratings of the Australian respondents. For many Australians, the area’s ‘rugged untouched landscape,’ ‘devoid of human beings’, and ‘no contact with the outside world’ associated beauty with wilderness. She also observed that beauty was often associated with the lack of human disturbance, ‘clean and unpolluted’, ‘no sign of human influence’. The presence of litter, garbage and pollution invariably diminished the aesthetic quality and experience (Figure 7). Kane’s (1976, 1981) study of the South Australian landscape showed that mountainous scenes ranked among the highest of the 46 scenes subject to the rating. The top five scenes were of mountains and steep gorges in the Flinders Ranges. Given the prominence of mountains, it is surprising that in most studies their presence in the landscapes studied appears to be little more than a backdrop to the particular landscape, rather than as a key focal point. Shafer et al, (1969) for example, described mountains in the scenes as the distant non-vegetation zone (i.e. not even designating them with their proper name) in his derivation of a mathematical model. Relatively few studies sought to derive preference ratings for the mountain components of scenes per se – rather, they are treated merely as a part of the scene. Generally, the studies found mountains provide a positive influence on preferences. While some studies found that mountains were ahead of water in terms of preferences (e.g. Hull & Stewart, 1992) others found water to be the leading preference (e.g. Herzog & Bosley, 1992). Herzog (1987) also found ‘spacious canyons’ out-performed mountains. However, his example was the well-known Grand Canyon, which may have attracted preferences based on familiarity. The studies indicate that preferences increase as land forms change from plains to hills and to mountains, the highest preferences being for land forms that are high and steep. Scenes that combine multiple sets of ranges disappearing into the distance are preferred over views of a single range. There are some indications that strong land forms such as the Rockies with steep rocky slopes and faces are preferred over rounder land forms which are seen as “weaker.” Several studies identified wild qualities without human presence as adding to the quality of the experience, while the presence of humans and in particular, garbage and pollution diminished it severely. While high and steep land forms may offer excellent prospects for viewing potential enemies (Appleton, 1975), it is difficult to envisage how they enhance the survivability of humans as envisaged by most landscape theories. The South Australian Coastal Viewscapes Project (Lothian, 2005a) examined in detail the influence of various coastal land forms on preferences. The landforms were classified into five categories (Figure 8). High cliffs (7.84) followed by the headlands and bays (7.02) were the landforms that gained the highest preferences. Drilling further into this, the influence of the steepness and height of coastal landforms was assessed (Figures 9 and 10). Of the two, height had twice the influence of steepness; the trend lines indicate that for an increase of one unit in the height score, ratings increased by 0.83, whereas for steepness the figure was 0.46. Thus for a height of score 1, the average rating would be 5.01 and for score 5 it would be 8.32, an increase of 66%. Table 3 summarizes three studies of coastal land forms. These few coastal studies of land forms reinforce the previous finding that ratings increased with the height and steepness of cliffs and that beaches backed by headlands or cliffs were preferred to beaches without distinctive land forms.